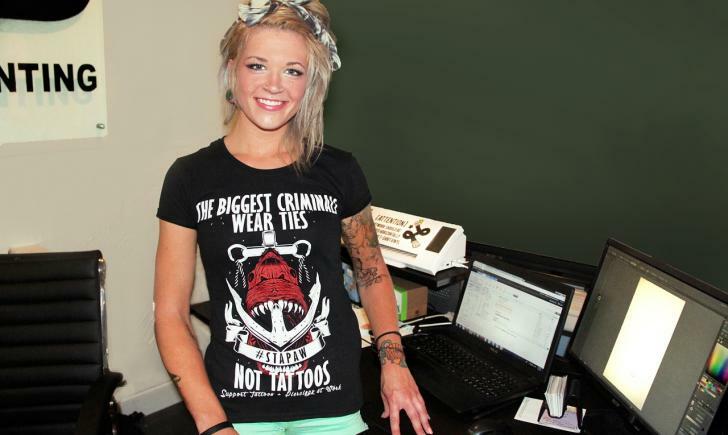 If you are looking for a job that will allow you to wear your ink loud and proud, check out these 10 Most Tattoo Friendly Careers. At number one we have the most obvious “duh” answer, a tattoo artist and/or piercer! It’s almost a requirement that you have tattoos for this job, not technically, but it certainly does help! I mean, would you really want to get tattooed by a non-tattooed tattoo artist? Or get a piercing from someone who is sans piercings? We didn’t think so. If your love of tattoo goes beyond the day-to-day, and you have the talent to boot, becoming a tattoo artist may be the perfect path for you. Get under a great apprenticeship, take the process seriously (there is a lot to learn from a health and safety standpoint), and hone your craft. Artists usually get a lot more freedom when it comes to personal expression and style. Since most graphic artists spend their time working in their creative environment, tattoos fit right in. Most design houses are cool with tattoos, and even companies who aren’t inherently a creative company will be okay with tattoos if you are in their creative department. Love to design? Well then you can love to show off your tattoos, too. When it comes to being a bartender, tattoos are totally part of the game. Bartenders often have a ton of freedom when it comes to their personal style, which includes ink and piercings. Love to mix up your specialty drinks and make jokes with strangers? Being a bartender may be the perfect fit for you. And who knows, maybe you’re heavily inked arms will actually help you get more tips! Hair stylists rely on their personal style to maintain their professionalism, and guess what, tattoos are definitely a part of that style! Because hair stylists usually have high end style, their tattoos are bound to be beautiful, well done ones, not tattoos done impulsively, or by someone who doesn’t know what they’re doing. Having a bad hair day would be frowned upon more than having ink in this profession! Love hair and makeup? Love meeting new people and helping others look their best? Being a hair stylist may be your calling! Chefs and cooks are often behind the scenes, cooking it up! This means that tattoos are totally acceptable! It’s even become a trend, what with cooking shows celebrating world-class chefs who also happen to be heavily tattooed. Many of these chefs have culinary related tattoos, which makes it even more special. Love to cook? Start your career in culinary, and keep collecting tattoos! IT and technical support personnel usually work behind the scenes. They are good at what they do, and often work for themselves. If you can fix someone’s computer, they’re not going to balk about the presence of your ink! Construction workers have always been known to have ink. It goes really well with those manly muscles from all that heavy lifting. Photographers are in the same creative realm as graphic artists and fine artists. Tattoos and other forms of self-expression are just expected. 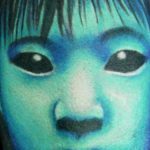 Of course, if you want to become a photographer that is mostly child and family friendly, you might want to steer clear of huge, scary, demonic tattoos. Just sayin’! Mechanics work behind the scenes. They fix things. Having tattoos is also expected in this field. Are you handy and good at fixing things? You’ll have steady work and steady money coming in for more tattoos! A career in fitness may be your calling if you are into nutrition and exercise, and helping others get healthy, too. Tattoos look especially good on bodies that are being worked out and are toned and fit. Go ahead and get that ink to accentuate your favorite body part. You’ve earned it with all that work you’ve put in! And guess what, your clients are going to love it, too.